Well, this is it!! Summer is gone and with that, a whole different routine starts. Forget about the easy days when you put a romper on your baby and headed out with those bare, chunky feet kicking in the air. 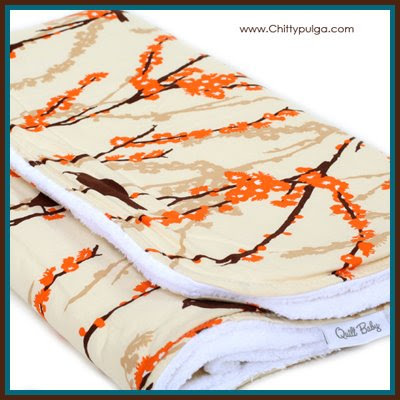 Recently arrived at Chittypulga, Quilt Baby fall's collection. 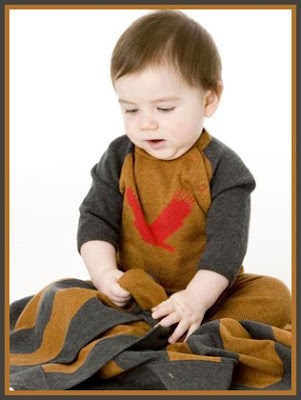 The prints are gorgeous and the quality of the fabrics superb, so soft and cuddly. I'm totally in love with the "Bird on the Branch" and "Morning Glory" Minky Blankets, made of 100% cotton on the outside and plush vanilla minky on the inside. You may even complete a whole set with the matching bib, burpcloth and changing mat. 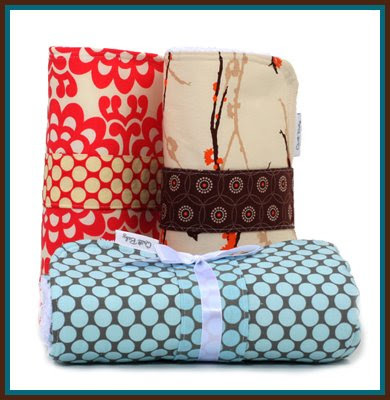 Great also as shower gifts, Quilt Baby Changing Mats... The size 28" x 20" is perfect to rest your baby on, and do the "icky" job on a truly absorbent surface, lined with super soft vanilla terry cloth. Once you are done, roll it up, tie it with the attached band and it will fit neatly in your diaper bag. Check the "Modern Flower" print... sooo fabulous!! ...And yeeesss!! You can still be trendy and look fashionable, even when your baby spits all over your shoulder... Just have her do it on Quilt Baby Burpcloths. They come in beautiful sets of two burpcloths and a bib wrapped with a silk ribbon, ready for gift giving. 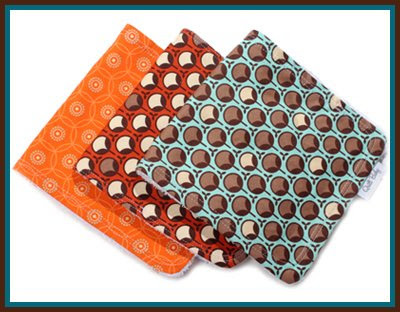 Also eye-catching, these newest prints from Quilt Baby, "Modern Buds" in aqua or toasted red... Fall is in the air!! When it came to dressing up my babies for the first time, I searched and searched for something amazingly special, something out of my dreams. Nothing complicated with laces or ribbons that could torture my "miniatures" from the very beginning... What kind of a "welcome to this world" would that have been? I looked for something with a striking combination of colors, modern, with simple lines, sophisticated, different... and I found it!! 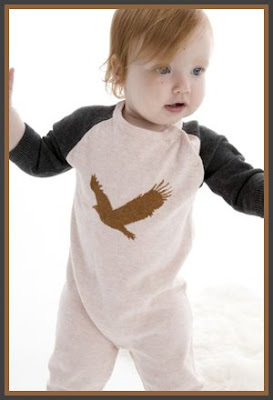 Egg by Susan Lazar is a gorgeous collection of one-piece layettes for boys and girls with matching hats, booties and blankets, made of 100% natural cotton with the look of wool, but without the itchiness. 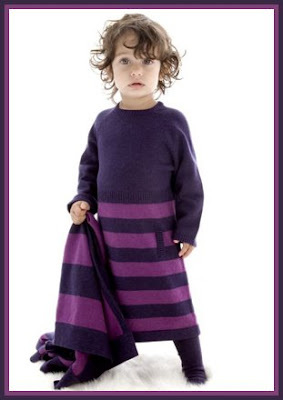 The yarn used in all pieces has only the look of wool, but the softness and smoothness of cotton. Just take a look and bookmark this page if you are expecting these months of fall or have a baby shower present to give. The Egg by Susan Lazar collection also has a variety of modern blankets, knit dresses and great cable knit hat and bootie sets, already gift packed in a beautiful presentation, perfect for showers and the approaching holidays.